Sundays in the world of Formula One are always special – after all, it’s race day! Suddenly, the paddock is overflowing with dozens of well-dressed individuals who look ‘sort-of’ famous. There’s music, there’s laughter, there’s even some champagne – sounds like a party to us! F1 fans, highway to hell? Before the race began, there was a dance performance on the circuit. Ironically, the song chosen for the performance was the famous rock song, ‘Highway to Hell by AC/DC – and what’s in a name, you ask? Glad to know that the world of Formula One has not lost its sense of humour just yet. One driver who had a hellish afternoon was surely Kimi Raikkonen. After issues in FP2 on Friday, he retired from the race while running in P2. Fans told us that they could smell something burningÂ as if metal was being welded when Raikkonen passed them on the lap, and they knew something was wrong even before it happened. Funnily, after Raikkonen retired, lots of memes were circulated of fans (young and old) bursting into tears – a doff of the hat to last year’s story with young Thomas. Reporter: Daniel, will you shine bright today? The most slammed driver of the day was without a doubt Romain Grosjean who spun out on Lap one and collected poor Nico Hulkenberg and Pierre Gasly with him as well. Obviously, everyone blamed Marcus Ericsson for the crash (not). 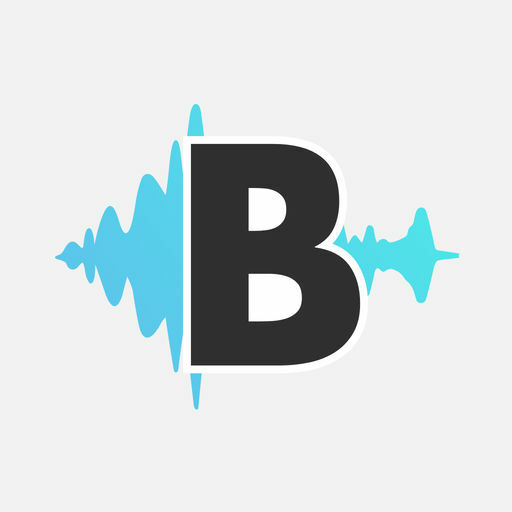 Hulkenberg said after the incident, “He (Grosjean) didn’t look great in that scenario. Generally, he likes spinning, but on the first lap is not a good time to do it with everyone there. He has to look at it and do some work on himself.” BURN! This is Grosjean’s third consecutive DNF and worst start to a Formula 1 season. In a classic case of adding salt to his wounds, teammate Kevin Magnussen brought his Haas home in P6. Without a doubt, Grosjean needs to up his game or he may have a hard time making a case for himself in his contract negotiation. 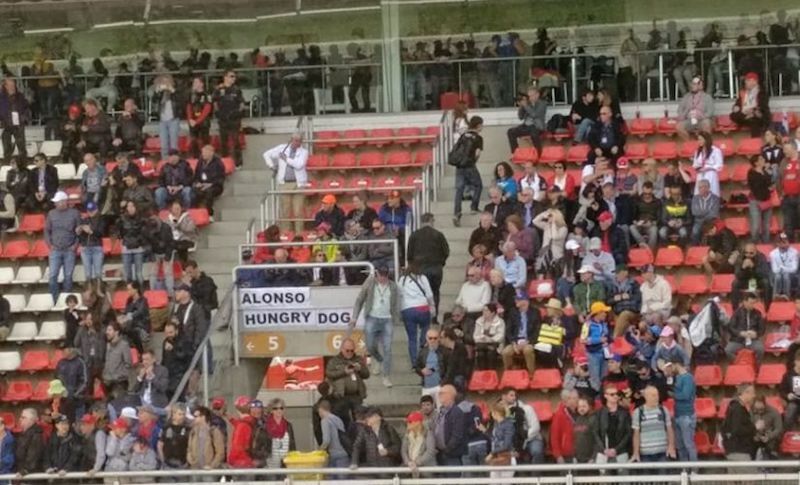 On the grandstands, a peculiar fan-made sign caught our eye – it said ‘Alonso Hungry Dog.’ Hilarious! We know that many Spanish fans were fervently praying for rain, given that Alonso is a master of the wet conditions. Unfortunately, they clearly didn’t pray hard enough, or the Weather Gods were having some fun. It remained dry through the race but the rain came immediately afterwards. The Twitter-based F1 Live show debuted to a great response as it crossed 130,000 views. The show has good content, so it’s a welcome addition. Also, it ensures that Jolyn Palmer has a nice job! The F1 paddock is actually full of former Formula 1 drivers, all happily employed somehow or the other. Also, did you know that Nico Rosberg has launched a new academy programme for young drivers? All through the race, we kept wondering how Max Verstappen was SO much quicker than Ricciardo that too in aÂ muchÂ damaged car. It later emerged that Ricciardo had spun off during the virtual safety car restart, something that the broadcast completely missed airing. Can you believe that?! We’ll forgive them only because of the coup they pulled on Saturday – a shot of lance Stroll spinning followed by a shot of Felipe Massa. Lethal! F1 TV – No Show! Formula One’s much-awaited OTT service debuted this weekend. However, their debut was akin to the McLaren-Honda debut from a few years ago – glitches and more glitches. Our social media feed was filled with fans who experienced black screens as they endlessly waited for the stream to load. First things first, Chase Carey acknowledged the technical issues while calling F1 TV a work in progress. Secondly, in the most uncharacteristic manner, Formula One reached out to the affected fans and informed them of a partial refund on their order! For those who are worried that Formula One is losing viewers, here’s a number that will cheer you up. The official attendance figures for the 2018 Spanish Grand Prix as stated by the circuit organisers were a whopping 172,144 for the weekend. Even better, the support races too (GP3 and F2) had a good number of supporters cheering budding Formula 1 talent. All good things must come to an end – and after four fantastic days at the Circuit de Catalunya, it is time for us to bid adieu to the world of Formula 1 – for now. We are already wondering – which race shall we attend next?